Introducing an epic breakthrough in the world of children's entertainment Sensational Bible Stories, Riveting First-Century Adventures, Promising Lifelong Lessons. 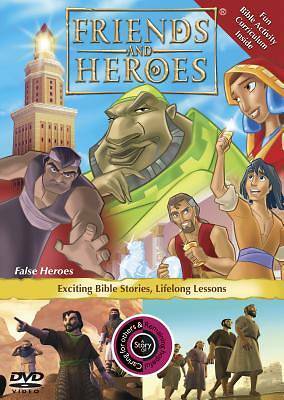 Friends and Heroes is an animated, DVD-based Bible-learning series that teaches kids Bible stories, ancient history, and how to live life as a Christian. Episode #4, False Heroes, retells the story of Rahab and teaches children about caring for strangers. This episode also features the story of how Peter raised Tabitha back to life.